In this guide you will learn how to make the difference between real and fake honey and other products of the hive. In the recent years, there has been a renewed interest in products which are labeled “natural”, “raw” and “organic”. This is largely a result of our increased awareness about commercially mass-produced substances and their side-effects. As expected, this has led to a proliferation of brands and products which claim to be natural. Many of these are widely available, on a continuous basis – which induces some of us to ask some questions about the methods of production. So, how do you tell whether something is in fact natural? The “naturally-claimed” products of apiculture are honey, royal jelly, pollen, propolis and beeswax. Whenever any sugar, that has not been collected by bees, is added to honey, it is considered adulterated. Here are some simple checks to see if the honey you have bought is natural or not. If you coat a matchstick in pure honey, it will still light up if held near a flame. Do note that all of these tests have an element of subjectivity and it might take you some time to get the process right. However, these should act as a good stand-in for formal lab tests. These tests are too general and you want to take it seriously? 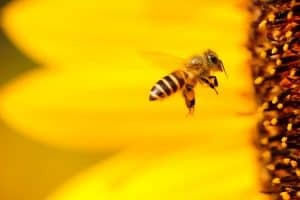 The most widely accepted method to analyze if honey has been artificially enhanced is the Stable Carbon Isotope Analysis. You can take a look at the website: honey.com to locate a reliable honey-testing lab near you. Royal jelly is one of the most sought-after hive products; it is produced naturally in only very small quantities. Commercially, it is common practice to feed bees with sugars and induce them to produce greater quantities of royal jelly. You will need to get your product analyzed at a lab to check for sugar content, to see if it has been artificially manipulated or not. We recommend to read more about royal jelly on our Learning page “Royal jelly“. There aren’t many tips to assess the quality of pollen. Yet, when buying it, you should make sure that your find a variety of colors inside the pollen jar. That means that bees had the possibility to feed on different sources of nectar. Different flowers provide bees with more variety in their food choices and make them healthier and stronger, compared to being fed with only one type of flower. In the end of the day, they are like us! At this point there are no known methods to artificially produce or enhance pollen or bee venom. 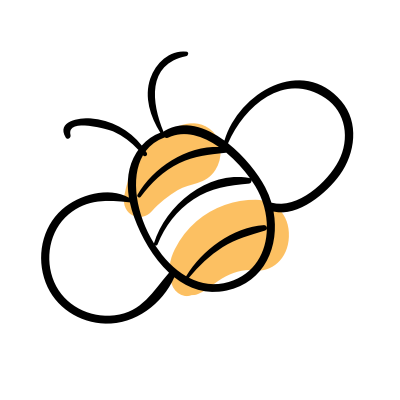 However, you may want to check that the brand/place that you are purchasing your products from practices ethical beekeeping and that the bees are not harmed or tortured during the process of production. It is now common for many products to state that they are using synthetic beeswax. This is great since you know what you are purchasing. However, as you might expect, you will find a lot of products falsely claiming to be authentic beeswax. A simple test you can run at home: If you immerse two samples in water, a film will form on the genuine beeswax. Do note that you will have to give this a day or two – the film won’t appear immediately! Also, if a sample is not authentic you may be able to detect very small grains along a crack line in the sample when held against sunlight.